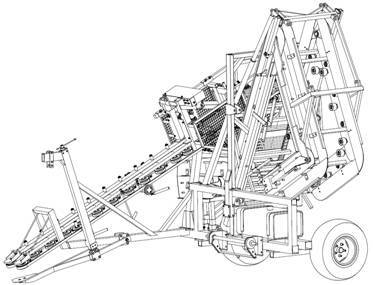 This month's Alicante News reports a decision of the Invalidity Division relating to a combined harvester (shown left). The registration (1603382-0001) was declared invalid (ICD 7081) because "every essential feature of the design has been chosen with a view to achieving the best possible technical performance. Those features were therefore solely dictated by the product's technical function (Article 8(1) CDR)". This decision follows a trend at OHIM on this point - the Board of Appeal this time last year issued a lengthy decision (R211/2008-3) discussing this point, and the purpose of the provision. For those fans of old-old UK design law, this discussion includes mention of Amp v Utilux.